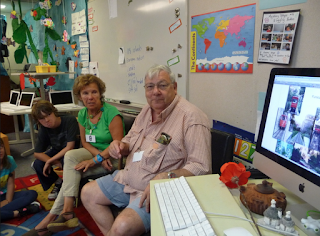 Mrs. Yollis' Classroom Blog: Welcome Back, Nonno! Today our friend Nonno was in town from Italy! Italy is a country in Europe. He brought his Italian friend, Francesca, with him. 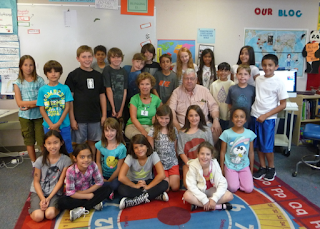 Last year, Nonno was a fabulous guest blogger for our class. His series about the regions of Italy was called Where's Nonno? 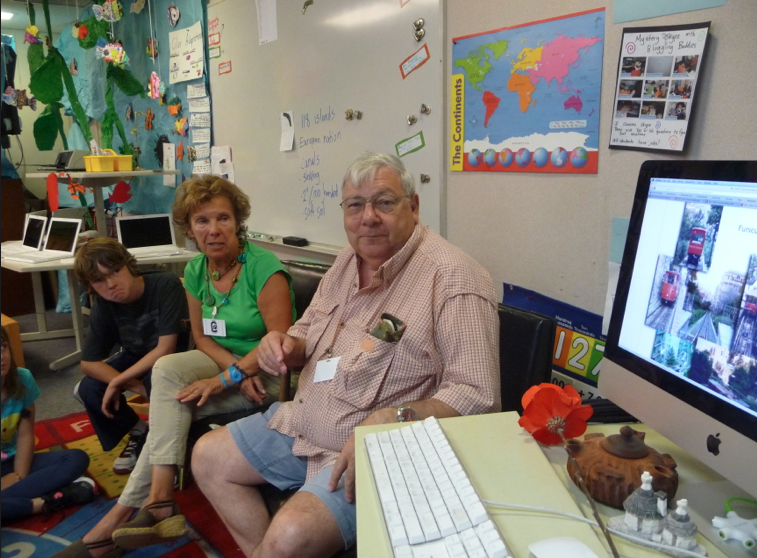 His grandson, Ben, was in Mrs. Yollis' third grade class last year. Check out the blog he earned, Ben's Next Stop. His current post is about his trip to Hawaii! Nonno has many fabulous posts in our archive. However, here is a direct link to his post about Barletta, Italy. 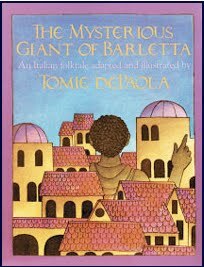 It features the giant in the fantasy story we read called The Mysterious Giant of Barletta by Tomie dePaola. Look for Francesca standing next to the Giant of Barletta! Here are some links to a few of his past posts to peruse! Peruse is a fancy word for read. They're full of facts and photos! What did you learn from Nonno and Francesca? Do you have any question about Italy? Meet a Tarantula and a Gopher Snake! Welcome to Open House 2012!